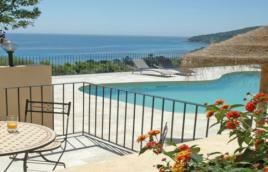 In Cala Rossa four villas of standing, air-conditioning, shared swimming-pool area, bay of Porto vecchio in southern Corsica. 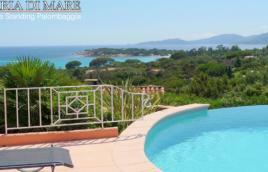 Marincelu Domaine it is nestled in the small peninsula of Porto Pollo, at the heart of the maquis and at only 250 m from the beach. 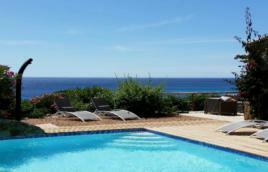 Right on the water, 4 luxury villas (hotel services) each with a swimming pool and a hot tub, private equipped beach and restaurant. 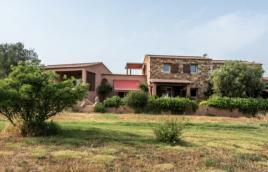 500m from the fine sandy beaches and 10min from Propriano, nice typical villas in local stone rental, any convinience with private swimming-pool and panorama sea view ! 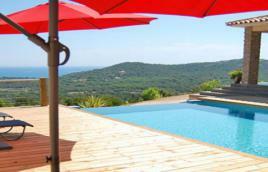 In the middle of nature, 7 luxury villas with private swimming pool... Don’t look any farther, your dream holiday is here ! Into a discret and refined setting, at the seaside. 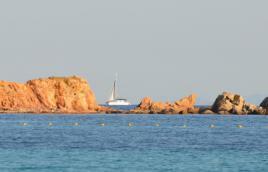 Private beaches, swimming-pool, restaurant. 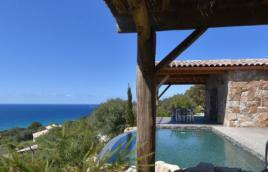 The charming hotel-villas is made up of luxury villas around a heated swimming pool located at the gateway to Cap Corse, a stone's throw from the seaside resort of Saint Florent. 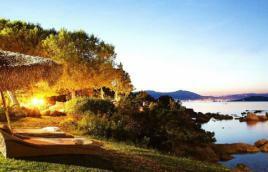 Mini-villas of character on 3,5 ha, direct and private access to 1 fine sand beach. In conservation area UNESCO. 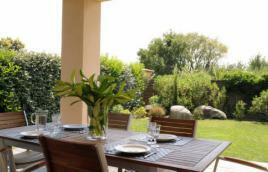 2 to 10 people, close by beach in exceptional garden… Quiet, space, comfort. Heated swimming-pools. Quiet and familial. 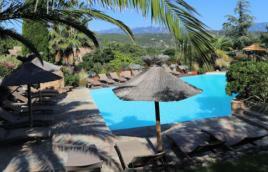 Swimming-pool and Paddling pool. Renting mobile-home. Close to the beaches. Possibility reservations places delimited. 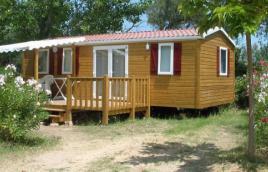 Rentals of charm and standing, 2 to 8 people. 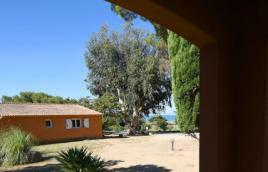 At 250m from the sea. Ideal for a stay in family. Please sign up with your email address.